Sun., May 20, 2018, 11:27 a.m. 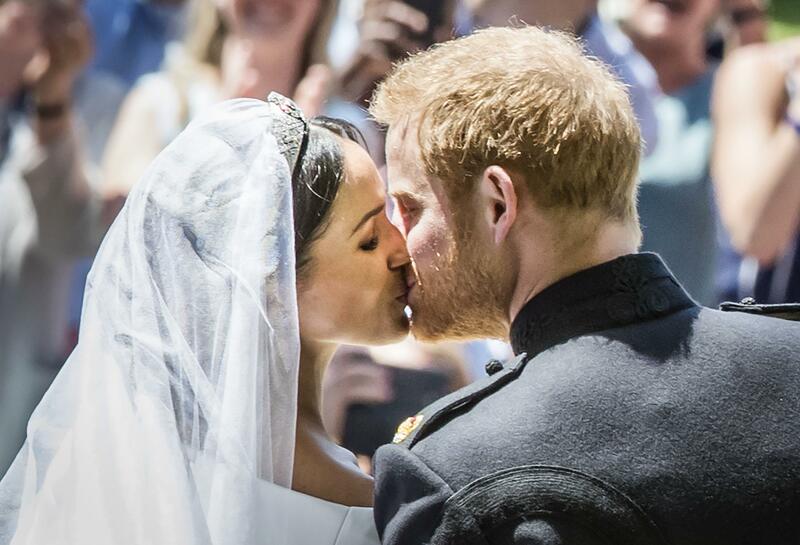 Prince Harry marries American actress Meghan Markle on Saturday, May 19, at 4 a.m. Pacific Daylight Time, and Washington state is contributing a little more to the festivities than sleepy viewers. That wedding gift comes in the form of one of the things the state is best at — beer. Windsor & Eton Brewery in Windsor, England, released their Windsor Knot Pale Ale to commemorate the royal wedding. And unlike Prince William and Kate Middleton’s similar brew from 2011, Harry and Meghan’s uses Simcoe hops straight from Perrault Farms in Toppenish, Washington. According to YCH Hops, the Yakima Valley is the United States’ largest producer of hops, accounting for nearly 77 percent of the total United States hop crop. Simcoe, the particular breed from this area that the brewer at Windsor & Eton selected, also lends a quintessential Pacific Northwest flavor. “Simcoe is earthy and fruity, a perfect balance with the British hops and malt procured at Windsor farms,” Ruffing said. Harry & Meghan’s Windsor Knot is the first royal brew to contain Simcoe hops, in honor of the bride’s Los Angeles roots, which make her the first American to be formally accepted into the British royal family. In a statement from Windsor & Eton about the beer, they address the symbolism of this union and the two linked hearts on the beer label. YCH and Perrault Farms are overjoyed to be included in the celebration, especially because Perrault has devoted six generations to getting their hops just right. Though the beer is only available overseas, those interested can buy it online through Ales by Mail. Or, for home and commercial brewers, YCH Hops intends to put a clone recipe with similar ingredients up on their website. And as for celebrating, Ruffing assures that they’ll be doing plenty of it. This weekend, YCH Hops and Perrault Farms are celebrating the nuptials with classic British and American fare, their families, and cases of this special beer that knows no bounds. Published: May 20, 2018, 11:27 a.m.